The Titanic museum is amazing, but sad! It is horrible to think how many people died when it sank. When you enter the building, they give you a card explaining your name, your age, and your story on who you are during the tour. I am Louise Kink. I am four. It is fun to go up the grand stairs. They are so beautifully made. I like how they curve like a spiral staircase as I go up, only they don’t curve in a complete circle. In another room I get to touch 28-degree water, it is so cold! They have 28-degree water so I can feel how cold it was for the passengers when they had to jump into the water. One room lets me try to stand on “the sinking Titanic”. They have a model of the Titanic that you can stand on. It is slanted so you can feel what it was like for the passengers when the Titanic was sinking. In the next room, I can try to steer the Titanic away from the iceberg as fast as I can! At the end of the tour, there is a big wall with all the names of the passengers and their social classes. I, Louis Kink survive the sinking of the Titanic! Visiting the museum makes me feel closer to the passengers. I love it all. 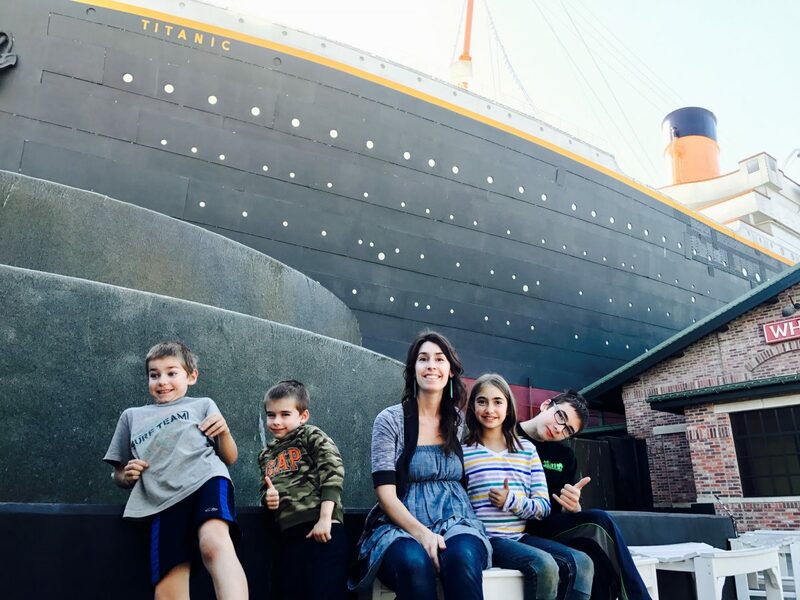 Click here to see what my mom thought of the Titanic Museum and why it made her cry. Thanks for sharing your thoughts so beautifully, Ashlyn. Great description of the real thing. You explained it well and they must have done a good job designing it. Thanks!